April was above the average as to the precipitation with temperature higher by 2,9°C compared to long term average. Extraordinary temperatures sped the spring works as well as hop growth. Hop cutting and wire stringing were finished in April. Stand condition differs in accordance with the hop cutting term and altitude. Hop training started at the end of month and it´s still continuing. 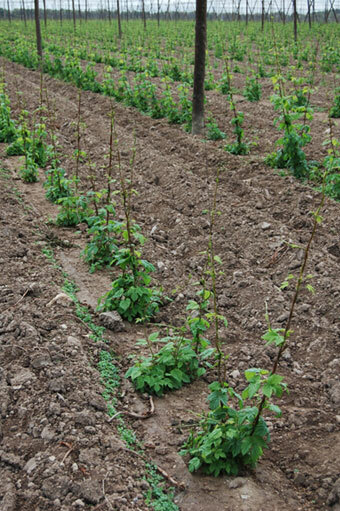 The hop growth is accelerated by 7-10 days compared to usual conditions. In some places the first symptoms of Peronospora were detected and duly treated. Photo dd. May 4 – hops after the first hop training.